Editor’s Note: This piece was originally published in The Hechinger Report. Andrea’s circuitous path to becoming a lawyer doesn’t come from a lack of drive. She lacked mentors in high school and college. A mentor might have advised her on which jobs to take and recommended her for positions that could have forged a more direct path to law school and eventually, a career as a lawyer. Working in the gig economy as a contractor with a ride-hailing company precludes the kinds of deep relationships that lead to professional advancement. The nonprofit organization Mentor, which works to ensure that everyone “has the supportive relationships they need to grow and develop,” conducted a national survey in 2014 of youth aged 18 to 21 and found that one in three reported growing up without a mentor of any kind. The group defines a mentor as a “supportive adult who works with a young person to build a relationship by offering guidance, support, and encouragement to help the young person’s positive and healthy development over a period of time.” A mentor can be introduced formally through programs like Big Brothers and Big Sisters, or informally through a family member or via participation in a sports or arts program. The #MeToo movement, which has put a spotlight on sexual harassment, has painfully revealed how vital it is for women and girls to obtain quality mentoring and safe spaces to share their experiences and receive advice. But, the number of men who are uncomfortable mentoring women has tripled with the rise of the movement, according to findings from an online poll from February by the nonprofit LeanIn.Org. Blacks, Muslims, and other underrepresented groups are in the same precarious position. Being a woman, Latinx, black, an immigrant, or a religious minority shouldn’t preclude people from receiving the professional mentoring everyone needs. Too many young people are left in the lurch, wandering aimlessly in a professional wilderness. And no one succeeds on their own. The myth of individual exceptionalism — that truly motivated people can pull themselves up by their boot straps — obscures how people really get ahead: with the assistance of others. Schools and businesses can meet halfway to close the mentorship gap. Some companies already encourage their employees to mentor young people through formal or informal programs. Jocelyn Kelly, vice president at Citizens Bank in Providence, R.I., mentors two high school students through a company program. On a panel that I moderated recently, one of those students, high school senior Paige Cook, credited the internship for helping her decide what she wanted to do in college. But not enough companies provide these opportunities. More businesses must open their doors to students through internships, summer employment opportunities, research intensives, and other experiential learning options. Likewise, schools must adopt more work-based learning programs. Work-based learning is an instructional approach to classroom teaching that makes connections to the workplace. It entails teaching academic, technical, and social skills in real work settings or simulated situations. Think learning art and history by shadowing a curator in the summer months or learning the physics of sound through an internship with a sound engineer. These mentor-teachers can not only learn the strengths of the students they are working with, but they can also inform them of job opportunities and recommend them for future positions. A Rhode Island inter-agency task force that includes the governor’s office launched PrepareRI in 2017 “to create a K-12 education system that is aligned with the demands of colleges and employers.” The state is creating new ways students can receive high school and college credits: through internships as well as through traditional career and technical programs. PrepareRI has asked banks, construction firms, software engineering companies, and other types of businesses to develop internships for high school and college students. The leadership team of this program is also working to match employers with college students who are eligible for financial aid. The state government of Rhode Island practices what it preaches: A Brown University senior is currently interning in the Office of the Postsecondary Commissioner program for people who are considering a future in postsecondary policymaking. A quality internship can separate students from the pack in an employer-driven market. Without family or professional ties to a particular field, it’s hard to gain access to a quality job in a competitive market. In Providence, about 13 percent of people with less than a college degree qualify for good jobs, defined as jobs that earn $42,300 (the median for such earners), according to forthcoming research by my colleagues at the Brookings Institution, Richard Shearer and Isha Shah. Roughly 11 percent of these earners will qualify for a promising job — one that will lead to a job that will pay $42,000 in 10 years. Approximately 22 percent of the Providence metro area jobs are considered good or promising for workers with a baccalaureate-level degree. As a former school administrator in post-Katrina New Orleans, members of the business community repeatedly told me, “If we can only fix the schools,” bemoaning the dearth of work-ready students right before they made an excuse to not hire raw talent. 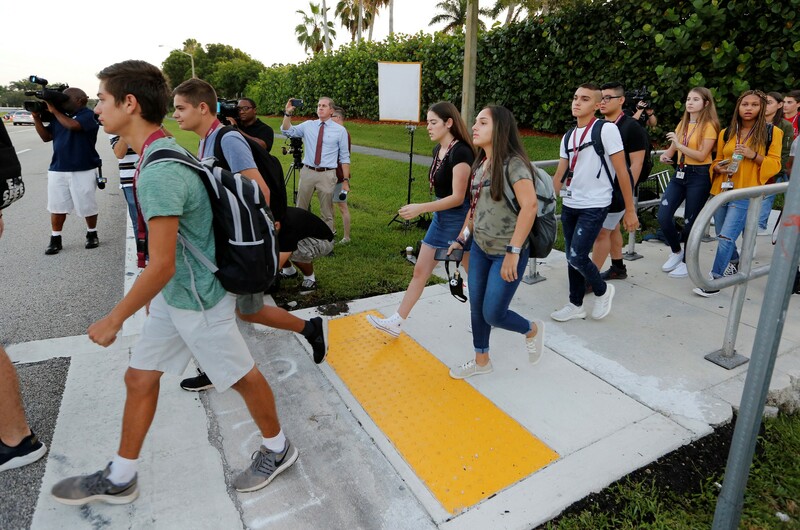 Primary and secondary schools have prioritized college preparation since the federal No Child Left Behind Act was passed in 2001, when states demanded K-12 schools adhere to rigid academic standards. Making it worse, employers who previously viewed new employees as apprentices to be trained have now openly absolved themselves of responsibility to help train young people. This post was published at www.brookings.edu on October 17, 2018.